I was in two minds this week as to what to do on my beer blog. As you may know, Monday is story day, and Wednesday is 60 Second Beer Review, but I was in a bit of a spot. You see, I had been working all week on a pretty solid article about some of the pre-conceived ideas, myths, and rumours about the Aussie Craft industry but by the end of the week I realised I needed to check a few facts before I let it fly. Sorry if this article isn’t up to my usual standards, but I thought this would be a meet in the middle solution. In coming up with ideas for my 60 Second Reviews, I have done a fair bit of research on other YouTubers out there so as not to just simply be yet another beer reviewer…hence the 60 Second idea. The quality of YouTube reviews is wide ranging, from 10 minute single camera bore-a-thons, to really educated beer nerds really analysing the brews, to more light hearted reviews (like mine) and everything in-between. I don’t want to bag out other reviewers, cos that’s not what I am about, so I will stick to giving you an idea of some of the better reviewers I have seen out there. An English fella who is a little left of centre with his videos, he has been in action since 2014 and racked up over 20,000 views. Concentrating on European beers, mostly, his reviews are usually under the magic 3 minute mark, which is great for my short attention span! Rob has been at it since 2010 and racked up over 220,000 views! My favourite video on his channel is him with James Watt from BrewDog, reviewing Pliny the Elder. Rob reviews beer from all around the world, I’ve seen everything from Tuatara, to Dogfish and Brew Dog. Most of them are under 5 minutes, which I like also! These guys run a pretty successful Google+ site and are busily drumming up support for their YouTube site these days. There are about half a dozen reviewers that contribute this channel, which is great for providing different points of view. These guys also do this thing called Friday Night Hangout, which is a bit of fun…hosted by Randy it pretty much just a few guys sitting around on webcams, talking about beer and other “Stuff” as they put it. This is a live stream I believe, but not for me in the Southern Hemisphere, so I have to see it on replay. Probably the slickest of beer reviews I have seen…nice graphics, good content, keeping it short enough for my attention span, and most of all, Chris is very informative. They must be dong something right with their nearly 40,000 subscribers! If you have a spare 11 minutes…check out his 11 minute Rant about Sierra Nevada! Not sure I agree with it all, but appreciate his well-constructed argument! Chad has also been at it for a while, I like his description of who he is…”Beer reviews by a guy who’s not quite an amateur, but not quite a connoisseur”. 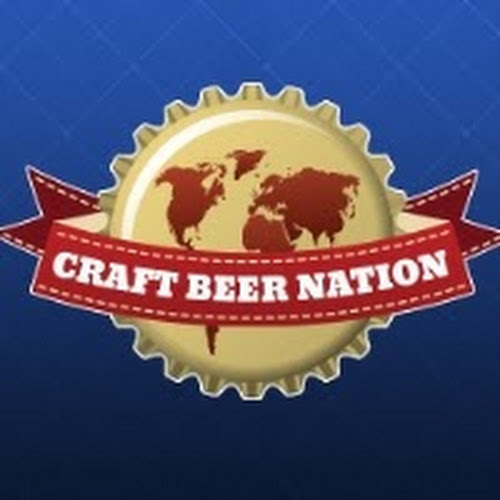 A good one for American beer reviews that are pretty detailed, but slightly long for my liking…but to each their own. He did do a cool review of the best and worst beers of 2015, which is worth a look at. Darwin speaks pretty quickly (but so do I) and crams a lot into his video reviews. What I like best about Darwin are his beer battles, where he reviews a couple of similar beers. He describes his beers well and posts really frequently…does he even have a real job??? If I have missed you, or one of your favourite beer review channels, let me know…I am keen to check them out! Thanks for checking out the post this week, sorry if I disappointed you…I’ll be back with a ripper next week and a beer battle of my own on Wednesday. Check out my latest 60 Second Beer Reviews below. As usual, don’t forget to follow me on Twitter and Facebook for all the latest beer news, and check out my YoutTube channel or Instagram feed for more fun. Cheers to great beer reviewers! Check out Frank About Beer. Simon is based in Barry, South Wales, UK and has over 14,000 followers on YouTube and has a real passion for the beer he reviews. Dj’s brew tube as well as rich’s world beer tour are both incredible honourable mentions! Thanks mate, he’s on the list. One of my favorites is Peter “The Master of Hoppets”, he reviews a great spectrum of beer from all over the globe, has a great palate, and is genuinely enthusiastic about beer, especially when he tries something great. Check out “Making It Grain” on YouTube, there is no lag time in his reviews and they are funny but also he has some good info!